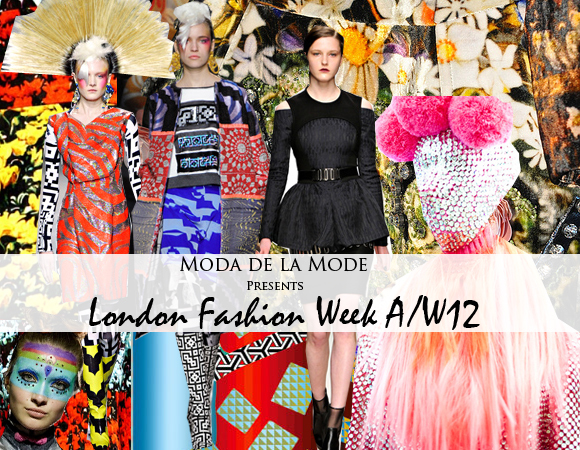 Out of all the fashion weeks around, I would like to think London is the most influential. The British are never scared about embracing the latest trends, mixing clashing prints, colours and textures together to create the perfect look. 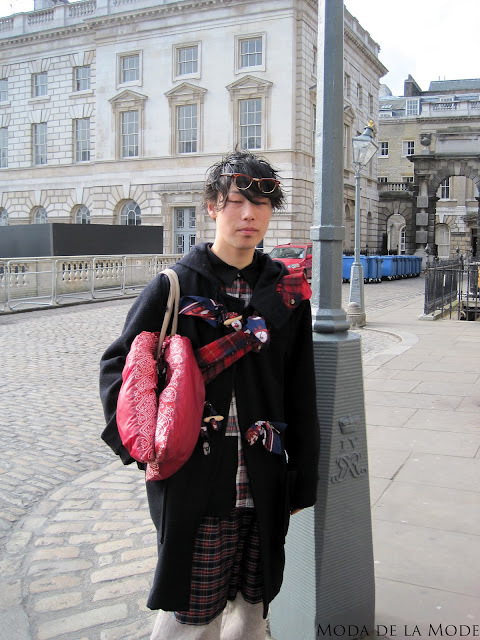 It is no wonder that the streets surrounding Somerset House looked more like editorials from Dazed and Confused magazine that actual busy pavements during London Fashion Week. Here are some of my favourite looks worn by men at Somerset House. Can you spot fashion blogger Jonathan Pryce? Don't you just adore the kooky mint green sunglasses worn in this shot. They are the perfect accessory for the springtime and contrast perfectly with the monochrome leggings and black top also worn in this outfit. 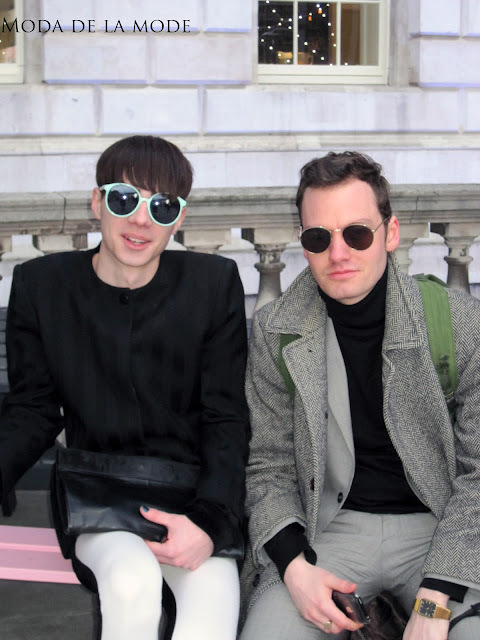 Not to be left out on the sunglasses front, fashion blogger, Jonathan Pryce joined in the shot, showing off his sartorial status with his beautiful woollen coat. What a perfect fashion match these guys make! !